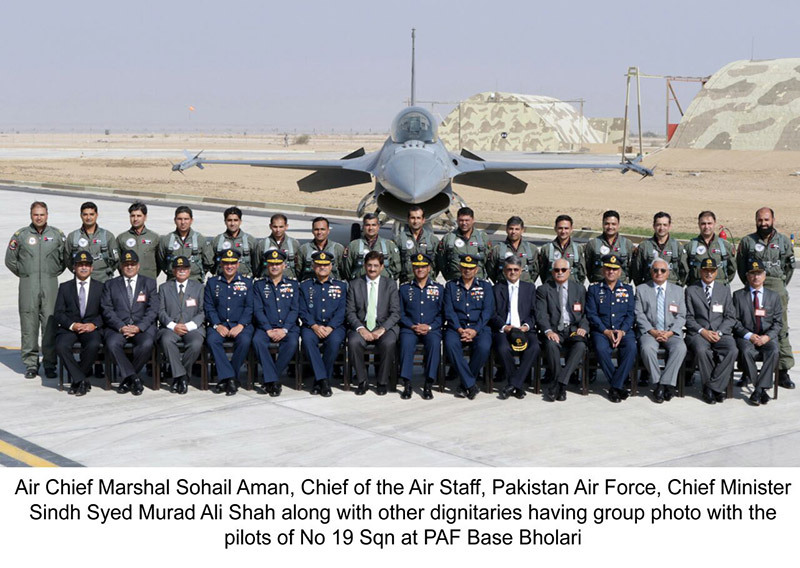 Pakistan Air Force (PAF) on Monday the 25th December 2017 inaugurated its newly established Bholari airbase, called by Air Chief Marshal Sohail Aman “a project of strategic significance for capacity enhancement of the PAF”. 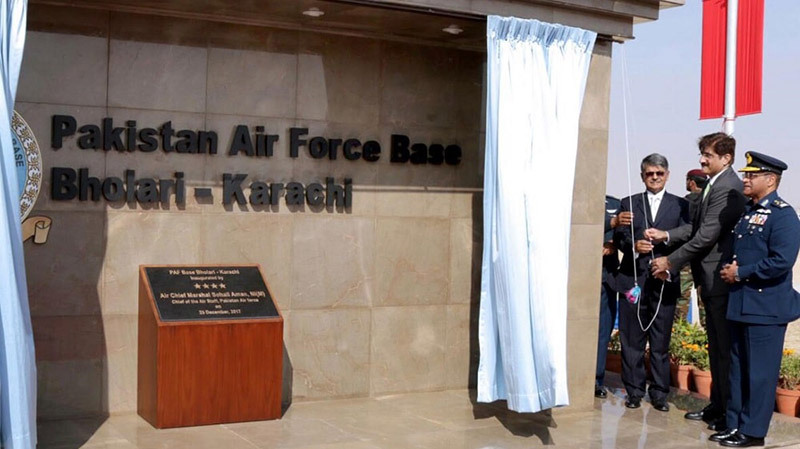 PAF Bholari New Operational Air Base Karachi was inaugurated on the birth anniversary of Quaid-e-Azam to show reverence to the father of the nation, said a statement by the PAF. Air Chief Marshal Sohail Aman, the Chief of Air Staff, was the chief guest on the occasion. Sindh Chief Minister Syed Murad Ali Shah also attended the ceremony as guest of honour. 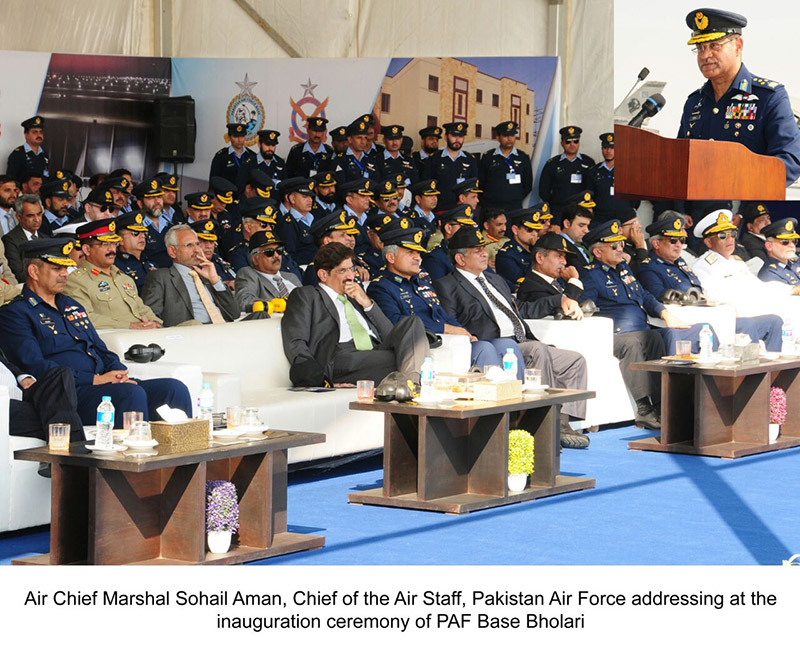 Addressing the inauguration ceremony of PAF Bholari New Operational Air Base Karachi as the chief guest, the air chief highlighted the importance of the new facility and called it a significant addition to the force’s overall operational capacity. 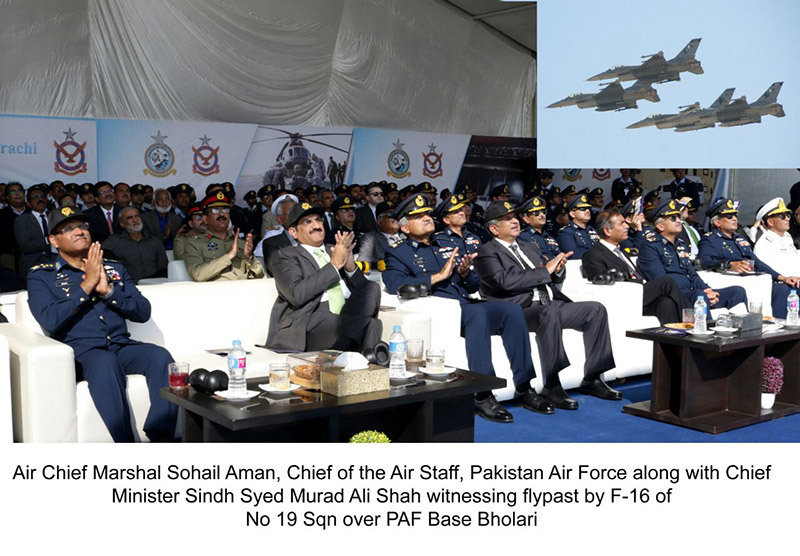 He further said that besides providing aerial defence to the motherland, the PAF Bholari New Operational Air Base Karachi would also play a key role in the socio-economic uplift of adjoining areas by providing state-of-the-art health services, quality education and employment to the locals. The PAF Bholari New Operational Air Base Karachi — located northeast of Karachi — is a significant milestone that will not only strengthen the defence of Karachi and coastline but also provide aerial support to Pakistan Army and Navy for their land and sea operations, respectively.